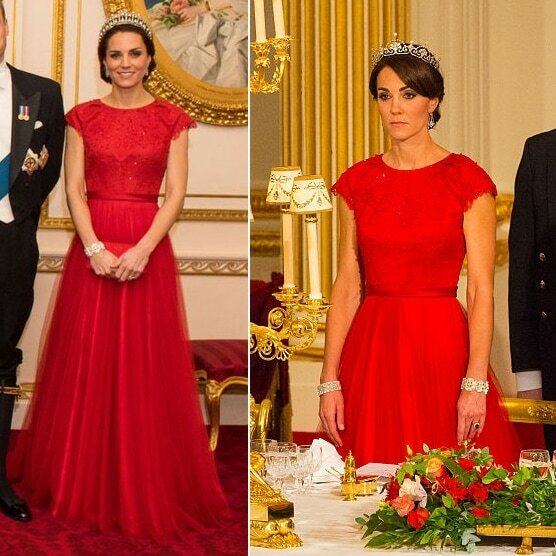 On Oct 20th 2015, the Duchess of Cambridge attended her first State Banquet at Buckingham Palace. The banquet was in honour of the visiting Chinese president, and for the occasion Kate wore a bespoke Jenny Packham gown in the colour of China's flag. 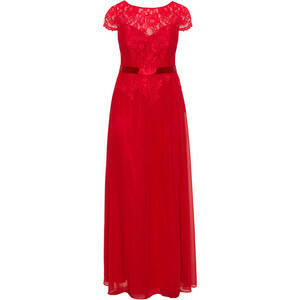 The red floor length gown has a round-neck, cap sleeves, sequined fitted bodice and full pleated skirt.